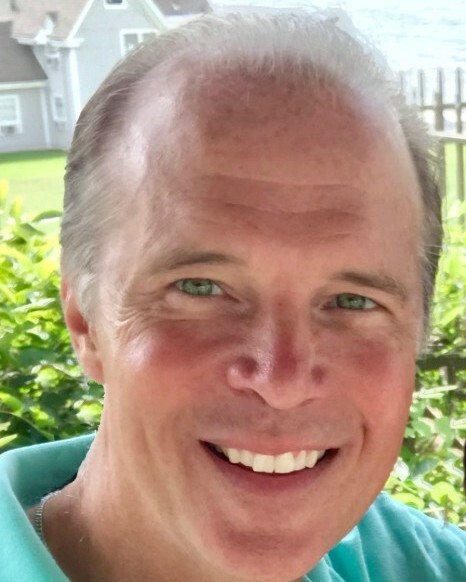 William F. Greenwood, 60, of Fairfield, beloved husband of Jacqueline Greenwood, passed away peacefully at St. Vincent’s hospital on Friday afternoon, March 22, 2019, with his family by his side. Bill was born in Bridgeport on October 10, 1958, raised in Trumbull and has been a resident of Fairfield for over thirty years. He is the son of the late Richard and Jane Greenwood and is survived by his wife, Jacqueline; four children: William, Joseph, Thomas and Sarah; eight siblings: Richard (Jane) Greenwood; Mary Jane Greenwood; Raymond (Catherine) Greenwood; Ellen (Charles) Harry; Edward Greenwood; Joseph (Elizabeth) Greenwood; Susan (David) Adams and Jack (Samera) Greenwood; mother-in-law, Barbara Baio; sister-in-law, Madeline (Bill Henwood) Baio; and his twenty-four nieces and nephews. He was predeceased by his brother Paul, nephew Francis Apgar and father-in-law George Baio. A graduate of Trumbull High School, Bill received an MBA in Finance at Northeastern University and a BA in Economics at Fairfield University. He had a successful career in New York City and was well respected for his knowledge, expertise and strong work ethic. Bill was known for his strong faith, generosity, compassion, sense of humor, and love of life. He treated everyone he met with respect and often went out of his way to make others feel special and brighten their day. Bill served as a Eucharistic Minister and as the Finance Committee Chairperson at St. Anthony of Padua Church in Fairfield, CT, and was a mentor for the Finance program at Fairfield University. He was an avid runner and ran in the Fairfield Half Marathon for over twenty-five years and completed the New York Marathon twice. He loved walking on the beach with his two dogs, Leo & Lily, and cherished the time he spent with his family and friends. A Mass of Christian Burial will be celebrated on Saturday, March 30, 2019, at 10 am at St. Anthony of Padua Church, 149 South Pine Creek Road, Fairfield. The burial will follow at Gate of Heaven Cemetery, 1056 Daniels Farm Road, Trumbull. Friends and family are invited to call on Friday, March 29, 4-8 pm at the Redgate-Hennessy Funeral Home, 4 Gorham Place (corner Main Street), Trumbull. Donations can be made in his memory to St. Anthony of Padua Church. To send online condolences, please visit www.redgatehennessy.com.